I have been musing over the passages in the Gospel of John that deal with the bread – “I am the Bread of Life”, says Jesus. And it reminds me of how quickly delicious bread goes! The good stuff certainly doesn’t last too long in our household, especially if it’s rolled together with cinnamon and sugary icing!! And before we know it, we tend to ask, “where did that bread go?” (as if it evaporated into thin air). That bread, as delicious and yummy as it is, doesn’t last long. Nothing does, really. This summer I’m asking the same thing – where did that time go? Same holds true with our churches and our families. When we love that bread – or Jesus, or the church or our loved ones – we don’t want it to end. We get scared and want to gobble it down or put it on a shelf to memorialize it. And we often forget that God gives us all the good bread we need at the right time – it just changes with the seasons of our lives. And so, our summer may be drawing to a close, and our church activities that nourish us right now will change for the season – we will embrace Advent sooner than we realize! Jesus, in giving his life for us, becomes the bread that does last forever. It is shelf-stable beyond belief, and there’s no end to it. We have a God of abundance, and our God encourages us to share that delicious bread of thanksgiving and forgiveness with everyone we meet. That is the real bread that brings us into eternal life and has carried the church throughout the ages. Summer blessings to you… and I can’t wait for pumpkin spice! · Current study: "Learning About Jeremiah"
Next Study: "Short Stories by Jesus"
· Thursday Evenings will begin on September 13th at 6pm in the conference room. 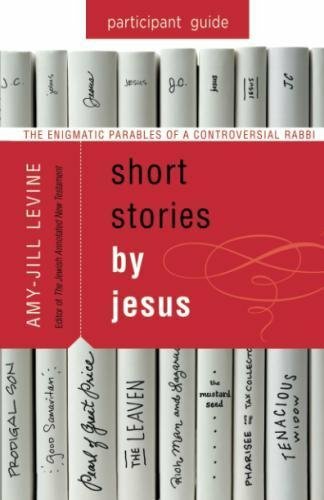 · Next Study: "Short Stories by Jesus"
· Next Circle meeting will be September 4th 9:30am. · The next Rebekah Circle meeting will be September 10th at 6pm. We are currently waiting on Lifetouch to produce the photo directories. This has been a long process, and we greatly appreciate your patience. We will distribute the directories to you immediately upon receipt from Lifetouch. A joyous celebration of First Communion will take place during worship on Sunday, September 30th at 10am. A small reception will follow in the fellowship hall. Please feel free to invite your friends and family to this great occasion. · September 9th 11:30 – 1:30. Fun for the whole family! Petting zoo, pony rides, face painting, games and snacks! The Saginaw Twp. police and fire, CAN Council, Habitat for Humanity, Sammy Spirit, Covenant will all be there! Hope you will be, as well! Invite the kids and grandkids and your neighbor, too! We rejoice in the baptism of Weston James Beckrow, who joined God’s family of faith on July 21st. We pray for the families of Fred Minster and Steven Seeburger, who both died on July 16; Gail Connelly, who died on July 19th; and June Feldotte, who died on July 25th. Lord, thank you for the faithful witness of these your children. Console the families who grieve, and reassure us that, at the last, we will again see you in glory. Bless the families who embrace new life, knowing that you journey with us through every step. Amen. We are delighted to introduce you to Ms. Beth Lasky Hale as our new Minister of Music. She brings great talent and leadership skills to our congregation. More info about Beth coming soon! Learning about… Why do we share the peace? During worship, we engage in an ancient practice of sharing the peace. This isn’t just a time to celebrate the arrival of our neighbors in the pew beside us, but rather it is a special moment that goes much deeper than that. When we offer one another peace, we do just that: give them a moment of peace and kindness and reconciliation. The gospel of Matthew, in chapter 5, bids us to come honest with ourselves and our neighbors – any offense we may have against the neighbor should be reconciled before approaching the altar. During worship, this takes place at the time of the intercessory prayers (Lord, in your mercy, hear our prayer) because our forgiveness, our hopes and our gifts are all become offerings to God. God offers to us that ultimate peace through the meal of Holy Communion. Find more information on the ELCA’s website. About a year ago, I made the decision to begin semiretirement when I concluded my ministry as Pastor of St. John Lutheran Church in Lake City. At that time, I decided to continue as the contract pastor of Trinity Lutheran Church in Manton. I also continued in my role as the Dean of the Traverse Conference and as chair of the Synod Response Team, a member of the MultiSynodical Candidacy Committee, and co-leader with Pastor David Sprang for Synod Boundary Training. Prayerful discernment led me to these decisions. Over this next year, I will be serving approximately 35 hours a week in this call as Assistant to Bishop Satterlee. My portfolio will include Call Process, First Call Theological Education and pastoral presence in the Grand Rapids and Kalamazoo Conferences. I will also be synod staff liaison with the Youth Ministry Table, the Racial Justice Task Force, Living Fire Ministries and the Publicly Engaged Church Table and task forces. 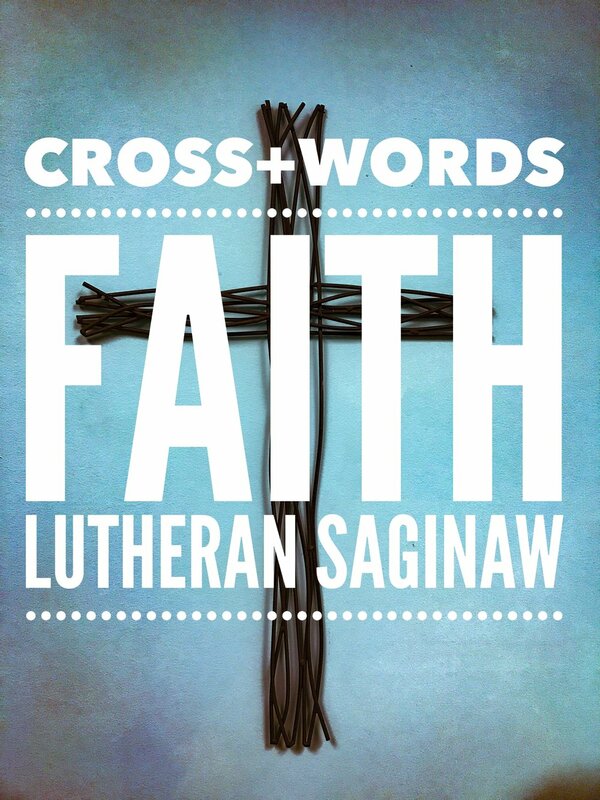 I will be working from the Grand Rapids Desk at St. Luke’s Lutheran Church in Grand Rapids. We extend a grateful thank you to Pastor David Blank and the Congregation of St. Luke’s for so graciously providing office space at St. Luke’s. A bit of personal history for those who might be wondering include the fact that I served in full-time ministry in the Roman Catholic Church for twenty years as Liturgist and Director of Music, Pastoral Associate and Pastoral Administrator. Over the past twenty-four years, I served St. Luke’s Lutheran Church in New York City, Transfiguration Lutheran Church in Taylor, King of Kings Lutheran Church in Lake Orion, St. John Lutheran Church in Lake City and currently Trinity Lutheran Church in Manton. We are in the midst of our five week “series” of Gospel lessons from Chapter 6 of John’s Gospel where we reflect upon Jesus as the Bread of Life who nourishes and sustains us. Tucked in each of these five Sundays is the Epistle lesson from the Letter of Paul to the Ephesians. In this letter, we, who are the church, are encouraged to understand both our unity and our diversity. Our unity comes in knowing that there is one body, one Spirit, one Lord, one faith, one baptism and one God of all. Our diversity is expressed in our various forms of ministry. I am blessed to be called to journey together with all of you as we live out our call to be church in the North/ West Lower Michigan Synod of the ELCA. May we continue to grow in greater unity as we share the gifts for ministry that God has given us. May we also remember that we are fed and nourished on this journey by Jesus who is our Bread of Life. Greetings in the name of our risen Christ! Milestones abound! We have celebrated our 10th anniversary of the building at 4432 Mackinaw Rd this week; last week marked our first year together as your pastor; and we celebrated high school and college graduations of many of our young adult members and family members. Let us continue to give thanks for the witness of our gracious God for the work we continue to do together, and may we see a beautiful summer ahead. But despite all of our joy, may we also hold in prayer those who are in tender situations. Our neighbors to the north in Harrison have experienced devastating flooding. Our nation continues to be torn by immigration policies. We have brothers and sisters (or maybe even you) who are waiting for lab test results or surgeries. Hold these people in prayer - they are all children of God and need an extra measure of love and support! And if you are away this summer, safe travels! When I'm out of town, I always try to find a church near my destination to see how they experience worship - it's always really interesting and exciting to see both the familiar and different traditions others hold dear. And if a congregation did something special and you liked it, let me know! Find a church near your destination here: ELCA Congregation Finder. Lutherans have been making the sign of the cross before we were even Lutherans! It is a way of remembering our baptismal promise - that God, who raised Christ from the darkness of the cross of death into everlasting life, will also bring us from death into the fullness of life. At our baptisms, we heard the words, "marked with the cross of Christ and sealed by the Holy Spirit". By making the sign of the cross, we remind ourselves that we have been loved and claimed by God. How do we make the sign of the cross? We begin by placing our hand on our forehead, "in the name of the Father" - remembering that God in heaven is our creator. We touch our mid-chest, "and of the Son" - where we remember that God descended from heaven to earth in the form of Christ for us; Christ dwells in our hearts. We move to our shoulder (typically left then right), "and of the Holy Spirit, amen." Amen, meaning "May it be so" is our way of making our declaration - a very efficient way of saying what we believe. Current study: "Spirituality of the Psalms"
Book is not required, but helpful. Next Study: "The Parables of Jesus"
Discussion on Rob Bell's "Love Wins"
On Sunday, June 17, Michigan’s Keweenaw Peninsula was devastated by 6-8 inches of rain in a short amount of time, causing at least 60 sinkholes, numerous washed out roads, and one home that collapsed on a twelve year old boy. Hundreds of businesses and homes are affected in Houghton and the surrounding area. Residents will need immediate supplies for survival and long-term recovery. If you would like to help, Lutheran Disaster Response has set up a link for donations. All funds will be used for direct support of affected residents. - Madison Stoddard: Graduated from Hemlock High School and is attending Delta College, then SVSU to study Occupational Therapy. - Gabrielle Raymaker: Graduated from Bay City Western High School and is preparing to study Art/Business at Delta College. - Savannah Neilson: granddaughter of Carol and Jerry Rosier. Savannah graduated from Wauwatosa High School (Wisconsin) and will begin study at Madison State University. - Tricia Sinicki: Graduated from Chesaning High School and has begun at Alma College to study Pre-Med. - Jade Larkin: Graduated from Arthur Hill High School and is planning to attend Delta College. She is also employed with McDonalds. - Liam Howe: Grandson of Judy and Tom Howe. Graduated from Carrolton College and moves on to work with Teach America. May God to continue to bless these young adults and give them the wisdom and courage to enter the workforce and college. May their education and compassion bring the kingdom of God to all people they encounter in their labors, their work and their study. By congregational vote, the Alternative service has decided to remain on Saturdays throughout the year. The time will also remain 5:00pm throughout the year. And have no fear! The Ice Cream Socials after Saturday worship are back in full swing! Many thanks to the Property Committee for working to make some significant changes. This week, Simoni Systems is installing two 90" televisions to replace the aging and failing projectors. This should be a major improvement in visual clarity during worship. Our movie nights will make you feel as if you're sitting in a theater! Property is also working to seal and paint the parking lot, and they have replaced a commode in the sacristy. They've been quite busy lately! Many thanks for to this crew for their continued work in preventative maintenance. We rejoice in the births of Weston Leszczynski, Eleanor Reynolds and Max Schramke. We mourn with our secretary, Joyce Richardson, on the death of her parents, Ed and Wanda. We have learned of the death of the Rev. William Menter, who served as pastor to Faith Lutheran Church. We pray for the Mahar family upon the death of Jim Kennedy. We also pray for Shirley Craig, upon the death of her sister, Donna Chinevere; and for Lynne Lee upon the death of her grandson, Matthew. We give great thanks for the music ministry of Barbra Hare. Barb has blessed our congregation since September 2012. We wish Barb and her husband, Ernie, all the best in their newly retired lives together as they look forward to travel. Let us continue to pray: for the children, that their detainment may not leave lasting emotional scars; for parents to be at peace knowing they tried their best to give their children a better life; for our government, that the policies and laws that legislators pass hold all humanity with dignity and lovingkindness; and for our nation, that we relinquish our deep-seeded fear of our neighbors. Lord, have mercy. In the past few weeks, there have been a lot of questions regarding the Trump Administration’s immigration policies and decision to separate children from their families. Learn more about the ELCA’s response and how you can be an advocate for these children and their families. This week, I tweeted that I feel like a balloon with a slow leak. This is a good thing. As I write this, I am three weeks away from a 12-week sabbatical. Thank you! As part of the sabbatical, I committed to take a “cooldown lap,” as I do on the treadmill, so that I slow down at the start of the sabbatical rather than six weeks into it. So, my schedule gets a bit lighter between now and July— “lighter” being a relative term. And the feeling of a slow leak tells me that I am doing what I intended to do. The highlight of the time between now and then is attending the ELCA National Youth Gathering in Houston. I am very excited that Chelsey is going with me–this will be our third Youth Gathering together. Worshiping, learning, playing, and serving with 40,000 young people and adults from across our church is truly inspiring. My favorite part is positioning myself in the hotel lobby in the evening to watch as people return from the day. That is truly moving. I’m excited that bishops are staying in the same hotel as their synods. My goal is to make enough noise in the hallway that someone comes out to tell me to be quiet. On Friday of the Gathering, we come together as a synod for worship and study; I appreciate our being together in a confined space because it is easier for me to say hello. So, if you’re going to Houston and see me on the street, please take the initiative and say hi! From Houston, Chelsey and I travel to England, where we will spend a week visiting cathedrals and learning some Anglican history. I’ve been privileged to tour churches in Greece, Turkey, Jordan, Israel, Italy, and Germany, so I am very grateful for this opportunity to see England. I hoped to do some writing during this time, and perhaps I will, but as the air leaks from the balloon, the sabbath root of sabbatical speaks to me. I hope that Cathy and I will spend as much time as possible at our cabin in northern Michigan. I hope I can unplug and set down my iPhone and iPad and step away from my computer. I hope Cathy gets to drive less for a while. I hope to be intentional about rest, prayer, exercise, and healthy eating–a renewed commitment I began in March. At this writing, I am 18 pounds lighter. As I prepare for sabbatical, I regularly remind myself, “But [Jesus] would withdraw to deserted places and pray” (Luke 5:16). This is what it will mean for Craig to follow Jesus for these 12 weeks. I am convinced that pastoral sabbaticals are not extraordinary luxuries but a necessary part of the relationship between a pastor and congregation. I find that pastors get the sabbatical time they need in one of three ways: (1) congregations grant pastors sabbatical time, (2) pastors shut down for the time and do the minimum in an attempt to recharge their batteries, and (3) pastors seek a new call. And so, while I cherish this gift, I’m embracing it as a time of renewal that will ready me to return to this work I love in late September. I am already looking forward to seeing you then. Have a great summer! Holy and righteous God, you are the author of life, and you adopt us to be your children. Fill us with your words of life, that we may live as witnesses to the resurrection of your Son, Jesus Christ, our Savior and Lord, who lives and reigns with you and the Holy Spirit, one God, now and forever. Amen. 12Peter addressed the people, “You Israelites, why do you wonder at this, or why do you stare at us, as though by our own power or piety we had made this man walk? 13The God of Abraham, Isaac, and Jacob, the God of our ancestors has glorified Jesus, the servant of God whom you handed over and rejected in the presence of Pilate, though Pilate had decided to release him. 14But you rejected the Holy and Righteous One and asked to have a murderer given to you, 15and you killed the Author of life, whom God raised from the dead. To this we are witnesses. 16And by faith in the name of Jesus, his name itself has made this man strong, whom you see and know; and the faith that is through Jesus has given him this perfect health in the presence of all of you. you set me free when I was in distress; have mercy on me and | hear my prayer. the Lord will hear me | when I call. and put your trust | in the Lord. Let the light of your face shine upon | us, O Lord. more than when grain and | wine abound. for you alone, O Lord, make me | rest secure. 1See what love the Father has given us, that we should be called children of God; and that is what we are. The reason the world does not know us is that it did not know God. 2Beloved, we are God’s children now; what we will be has not yet been revealed. What we do know is this: when it is revealed, we will be like God, for we will see God as God is. 3And all who have this hope in God purify themselves, just as the Son is pure. 4Everyone who commits sin is guilty of lawlessness; sin is lawlessness. 5You know that Christ was revealed to take away sins, and in him there is no sin. 6No one who abides in the Son sins; no one who sins has either seen or known the Son. 7Little children, let no one deceive you. Everyone who does what is right is righteous, just as Christ is righteous. 36bJesus himself stood among them and said to them, “Peace be with you.” 37They were startled and terrified, and thought that they were seeing a ghost. 38He said to them, “Why are you frightened, and why do doubts arise in your hearts? 39Look at my hands and my feet; see that it is I myself. 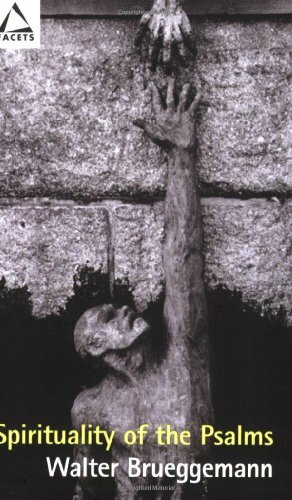 Touch me and see; for a ghost does not have flesh and bones as you see that I have.” 40And when he had said this, he showed them his hands and his feet. 41While in their joy they were disbelieving and still wondering, he said to them, ‘Have you anything here to eat?’ 42They gave him a piece of broiled fish, 43and he took it and ate in their presence. Rejoicing in the life, death, and resurrection of Jesus Christ, we pray for the witness of the church, the wholeness of creation, and all who are in need. Holy God, we pray for the church and its many expressions. Strengthen the National Youth Gathering planning teams across the country. Prepare the hearts and minds of our youth and adults who will experience your love this summer. Lord, in your mercy, hear our prayer. Creating God, you gave us dominion over the soil. In this icy weather, protect the first responders, electrical line workers and emergency personnel as they keep our roads safe and our homes warm. Lord, in your mercy, hear our prayer. Merciful God, walk with all refugees who leave their homes to move to safety. Protect them on their journey. Greet them with hospitality. Guide world leaders to make decisions that lead to ways of peace, especially as we hold our breath for the situation in Syria. Lord, in your mercy, hear our prayer. Compassionate God, you heal us. For all who have not been granted the healing they desire and for all who cannot access the care they need, send social workers, doctors, parish nurses, and other caregivers. Today we pray especially for Kim Stevens. Lord, in your mercy, hear our prayer. God our provider, you call us to give generously. Bless the finance and stewardship teams of this congregation. Make us joyful givers of the time, talents, and treasures you have first given us. Lord, in your mercy, hear our prayer. God of our ancestors, in you we have our beginning and our end. We remember all the faithful departed. Enfold in a shield of peace all those who mourn, especially the family of Diane Maturen, on the death of her brother Jon Fink. Hold them in your love. Lord, in your mercy, hear our prayer. We entrust all our prayers to you, gracious God. Receive them by the power of the Holy Spirit and the love of your Son, Jesus Christ our Lord. Amen. The peace of Christ be with you always. Today I encourage you to pick up the phone and call someone who could use an extra measure of peace today. fill you with great joy. bless you now and forever. Amen. You are the body of Christ raised up for the world. Go in peace. Share the good news. Spring greetings... maybe??? It seems that spring doesn't really want to arrive this year, doesn't it? As I'm writing this, we're preparing for a major ice storm. Maybe? Yesterday was 70 degrees. If the weather prophecy holds true, we will experience a drastic change. Well, this weekend's scripture reminds me of that drastic change. We go from the death to the resurrection, and the disciples seem to think they've seen a ghost. In Luke 24, Jesus goes out of his way to calm the fears of the disciples by asking for food, eating in front of them, proving that he is no ghost, but their beloved friend, in the flesh, celebrating with them the fulfillment of scripture, just as God said. I want you to know that the best part of ministry is to bring Christ's word of peace and proclamation of good news to you. I'm here to stir us to a point of joy and to calm your fears as we celebrate in the resurrected life together. And yet I know there's a lot going on in our church - we've introduced new Holy Week services, we've made a special area for the children, the Alternative service is remaining on Saturdays. 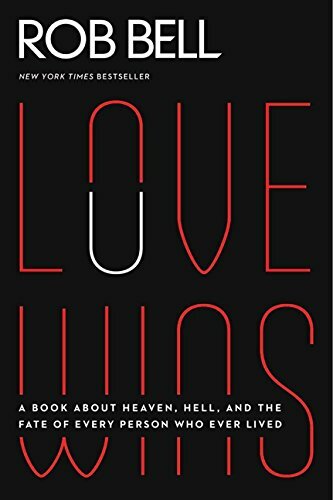 I'm super-duper excited about these things and the hope that they bring - how they will enable others to become more engaged in their faith - and yet these are changes that may also bring about some anxiety. Peace be with you; I echo Jesus' words. My call as pastor to this community is first and foremost to help deepen our spirituality and our connectedness to our neighbors. We all desire that we grow as Christians, but sometimes the discomfort of change doesn't feel so good. Peace be with you, I say again. So I wish to invite you to speak with me about any concerns you may have - directly. Know that as your pastor, I will hold our conversations with utmost loving care and confidentiality. I want to know and share your joys and worries. In the meanwhile, I excitedly await the real arrival of spring, any day, because I know that something great is just around the corner. And that is the same hope and joy that I have also witnessed that with our worshipping community. Peace be with you. Faith quilters have presented a quilt for Habitat for Humanity's annual quilt show. It is on display from Friday through Sunday this week at Our Savior on Hemmeter. This is the 17th year for the Quilt Show & Silent Auction, and this year's home is the former residence of Emily Hahn. For more info, click here. And have no fear! The Ice Cream socials will resume on June 2nd. Outdoor flea market on May 5th from 8am-3pm. Vendor tables are available for $20. No clothes for sale. Please call the office at 989-799-0162 to reserve your space. For updates, check here. Two young women of Faith Lutheran affirmed their baptismal promises and life in Christ on Palm Sunday this year. We give thanks for the joy and Christian witness of Marrissa Price and Jade Larkin. What is this new "Prayground" that I hear about? Yes! We want to show the community that we value children here, and we are doing it in a way that makes it abundantly clear that the Gospel and our worship is for them, too! During Easter Sunday celebration, a toddler sat in the Prayground and pointed to the cross, asking "what is that?" THAT, my friends, is exactly the point of the Prayground - a place that children can clearly see what they've been missing for many years (they're tiny humans, and miss a lot of the world just by being so small). Experience has shown that when churches fail to get children involved in worship by ages 4-6, then the children never feel that they are truly welcome or part of that community. Worried about it being a distraction? So far, so good for us! Congregations that have a dedicated children's space near the front report that because children can see what's going on, it captures their attention and keeps them engaged. What tends to be more distracting is (believe it or not!) the parent who "shushes" a child. Plus, the plush toys are pretty quiet. Worried about it being in the way of communion traffic? We thought of that, too, and it's not a problem. The recessed space occupies no more real estate than the former pew in that same place. Plus, kids get a kick out of seeing so many people pass by them on their way back from communion. When they see familiar faces each week, its like having a number of aunts and uncles surround them in worship, and how beautiful is that?! At Easter Vigil we welcomed several new members into our community. As a congregation, we welcomed and vowed to support the following persons in their faith life: Kathleen and Mike Basner, Jim and Susan Lown, Sherry Leszczynski, Samantha Leszczynski, Shyanne Leiner, Judy Rawlusczki and Thomas Wilhelm. On April 15th, we will baptize Liam Robert-James Leiner and welcome him into the Body of Christ. Do you have a youth in your family (child, grandchild, niece, nephew, etc.) who is about to graduate this year? It can be a graduation from elementary school, middle, high or college. We would like to pray for them and bless them for their next venture during worship on Sunday, June 17th at 10am. Let the office know, either by phone or email. 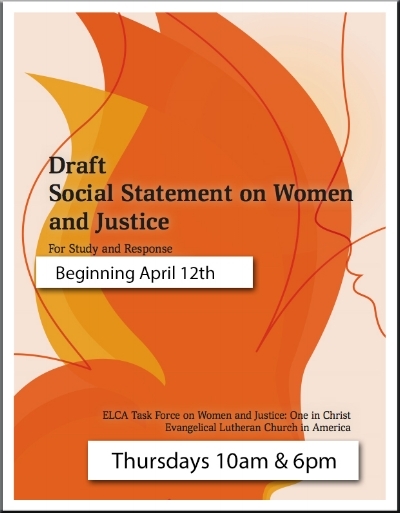 Thursdays 10am & 6pm continue the discussion on "Women & Justice". See what our faith has to say about gender equality. Meet in the conference room. Materials are available at the church or can be downloaded here. What is Holy Week? These are days the church remembers and celebrates the life, death and resurrection of Jesus. The early church called these last three days, "Holy Triduum". 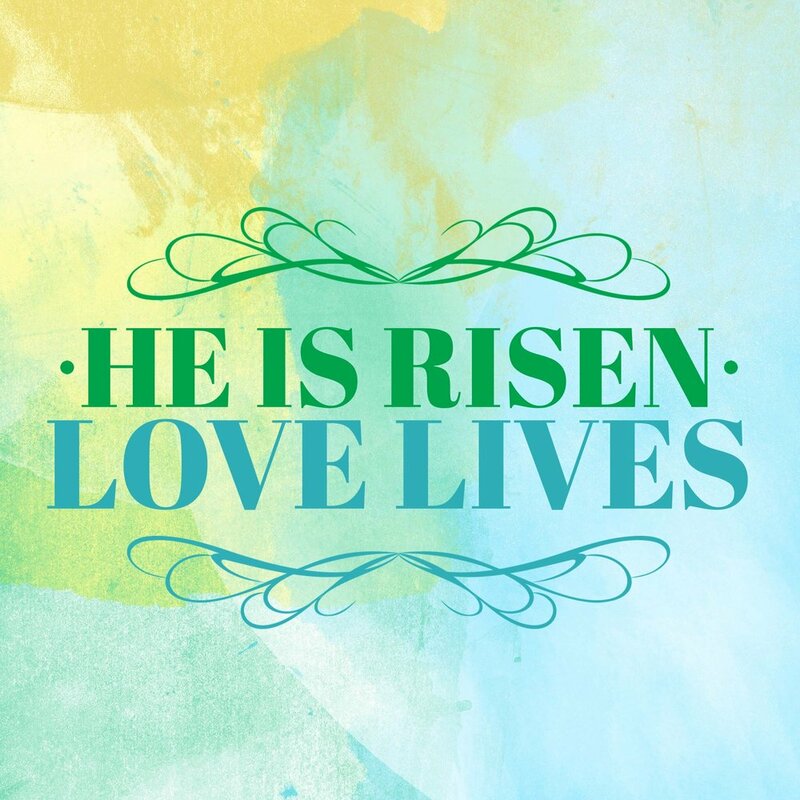 Thursday through Saturday are not meant to be viewed as three separate worship services, but one continuous act of remembrance that leads to the Easter moment - the jubilant exclamation that "He is Risen!" This is the night Jesus dined with his disciples for the last time. This is the night Jesus was betrayed by Judas. Jesus also gave the mandate (hence, 'Maundy') that we should take care of one another. He modeled this posture of servanthood by getting on the ground and washing his disciples feet. How does worship reflect this? In our worship, we eat the meal and we wash feet. We share the mandate to cleanse others. You are invited to come forward to have your feet washed. We continue to wash feet to this day, just as Jesus did, because feet are indeed icky and embarrassing. We risk our vulnerability because it is a loving act of trust and kindness to wash and be washed by others. At the very end of worship, the altar and worship space are cleared of any decoration, symbolic of the barren emptiness of this world. Only the bare furnishings remain, which reminds us that we are stripped of all our sins and only our bare humanity remains for God to reckon. We leave the space in silence, awaiting the next day. This is the day Jesus was crucified. Worship begins in silence of sorrow, and we leave the worship space in silence. We remember the sorrow of Jesus and the people gathered at the cross. We read the Passion story, which are the events that lead to the crucifixion of Jesus. Near the end of the Passion story, a large cross is carried into the worship space. On this night, you are invited to approach the cross and kneel before it, touch it or pray in front of it, paying homage to the moment our Lord was crucified. Because he lives, we live. We begin the celebration of resurrected life! In our ancient Jewish heritage, we begin our festival celebrations at sundown. Notice your calendar says "Passover begins at sundown"? Jesus and the people of his time would have begun the festivities the night before. This is what we call a vigil. Easter and Easter Vigil celebrate the end of darkness, when the temple curtain was torn in two and the centurion exclaimed, "Surely this is the Son of God!" In our worship, we begin Easter, the day of resurrection, as the sun sets. Because the events of Holy Week We gather outside around a fire that symbolizes the burning light of Christ through the veil of darkness. We each hold candles and then enter inside to the worship space, where we hear of God's creation and liberation and redemption throughout the ages. We sing in great jubilation. On this night, we welcome new members into the Faith Lutheran assembly. It's that time again! We are excited to say that our new Church Photo Directory is underway. Lifetouch will once again be creating our directory. Picture days will be May 1-3 and 9-11. Please sign up for a time slot that is convenient for you. Photography hours will be 2-8pm. We look forward to all of our brothers and sisters in Christ being included in this directory (you do not have to be an official "member" to participate). You've been waiting for a while for a newsletter. Something good is coming!